Ministry is Mum: Is this OMCs Love for Reliance Petroleum! 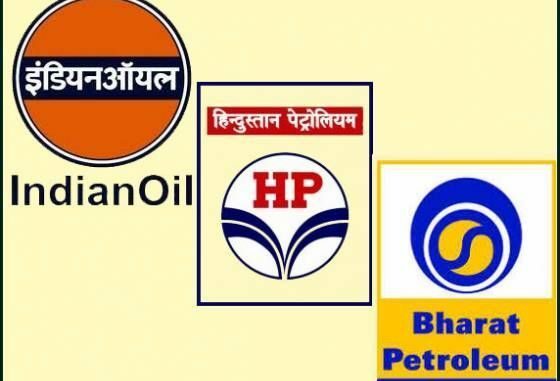 The Oil Marketing Companies (OMCs) are now duty bound to float news paper advertisement for appointment of retailers for selling petroleum products. Industry insiders conversant with the process opine that any advertisement resulting in 20% success in appointing new retailers is a great success. Further, the selection process itself is a strenuous process as each of the activity in it has a timeline. But the real test comes after a Letter of Intent ( LoI) is issued to a selected retailer. In a given advertisement of 250- 300 locations, which is generally the OMCs advertise in a given advertisement. Out of which a maximum of five to ten number dealers actually go on to be functional retailers. The process is not only long drawn but with many statutory provisions & compliances which at times become difficult to obtain. A retailer has to obtain no objection certificate from the Collectorate, Fire, explosives, panchayat & PWD or national Highway. Permission from NHAI even after engaging a consultant takes a couple of years. So each OMC need lot of time to own functional retailers. The private players in the market now own less than five percent of ROs of a total of around 60000 ROs in the country. But they are ambitious & would like to own more number of ROs. Everybody knows that the Modi government has very good relations with the Reliance. There is a speculation in the industry circles that the government is creating a situation where many RO owners will be forced to leave the business as the “company wages” if enforced will make the ROs loss making entities. And such owners will be an easy prey for the private players. Even the government knows that the ROs will become unviable once company wages are enforced, yet to the officials are under tremendous pressure to enforce it just to drive a flock of retailers into the hands of private players. An insider, under conditions of anonymity believes that private players will add at least five thousand pumps to their kitty in a year, which otherwise would have taken them at least five years. Stung by the stay orders given by the courts in favour of the retailers, the government has embarked on an ambitious drive to add another 25000- 30000 ROs in the near future. This will kill the industry. Consumer right activists may be arguing in favour of it as more the merrier. But running a RO entails high financial burden & if the profits dwindle because of numbers, many of them will become unviable, admitted a dealer. . The OMCs know which ROs are selling how much & they should add ROs where the volume is high, he added. Since petroleum dealership is a low profit margin business, volume is an essential which the ministry should not kill. Another source admits that the company had announced 100% automation of ROs while enforcing the daily price change mechanism announced a year ago. But automation has really not taken off & in many places they are not working even after installation because of the sub standard equipments. The present mechanism to enforce new guidelines is a clever ploy to cover up the failures in adhering to its promises. The ACC committee report is yet to finalise the loss suffered by dealers due to evaporation & difference in temperature during loading & unloading. If that comes, dealers feel that their commission will be further hiked putting burden on the consumers. The ministry is silent over it. 2 Comments on Ministry is Mum: Is this OMCs Love for Reliance Petroleum! President Gogi ji is a victim of a vicious campaign against him, for voicing dictates by MOP&NG to OMCs to suppress RO dealers to submission! His RO was inspected AFTER office hours in absence of Manager until 9.00 pm, with SO recording that “records not available” as records remain locked after office hours! ALL parameters of inspection were passed- even samples were drawn and paid for, but Gogi Ji’s outlet got shut down for 15 days, on flimsy grounds of MDG clause 5.1.8, as his DSM did not sign the report- being unauthorised to do so! Gogi ji has been supported by CIPD to file an FIR with police & district Collector, for non supply of fuel by BPCL SO & T Manager, under essential commodity act! He is supported by CIPD to ask BPCL District dealers to boycott purchases from BPCL, till Gogi ji is restored with supplies! He is supported by CIPD to move Court within 48 hours to obtain a Stay – as OMC’s by this action have breached Court Stay in Haryana! He is supported by CIPD to call a press conference and show the CCTV clippings as how much his DSM cooperated with the inspection team! IN evening at about 6:40 pm I got a call from my RO that official’s of BPC have come to inspect RO. It is surprising that before starting to inspect they pleaded that we have been directed by the higher up’s to Raid RO at this point of time. Immediately I also received a call from TM pleading pressure from the ministry/company to take the step. Myself and my manager were not present. I willingly allowed them to go ahead with the inspection. All parameters of inspection were OK. They then insisted to draw samples. My staff helped them out with the same. At 9.30 pm samples were drawn. Then without assigning a reason the sales of the RO were suspended for 15 days. Today a mail has been received that the supplies also have been stopped. I have been charged of not cooperating during inspection and causing hindrance to the checking team. These are the state of affairs that the dealers are working under. I have become a target of the political conspiracy. This is for your knowledge and information. Our president CIPD’s RO was inspected by company officials on last Saturday day evening. It was more than three hours. They thoroughly and leisurely inspected and checked. They have not conducted panchanama, there was no third party. No show cause notice. Dealer was not given any time to respond. They have collected MS and HSD samples. The bill was made by staff and the amount is paid for the samples quantity by inspecting officials. Dealer and his manager were not available. The staff afraid to sign as they were not authorised. The inspection team violated all norms of inspection under civil supplies act. No civil supply officer was in the inspection team nor persons for Panchanama/vakalta. The inspection team took all the powers into their hands and suspended sales for 15 days, under the pretentious that the staff did not cooperate. statements by leaders for your information. CIPD resolved to support our president as explained in messages.